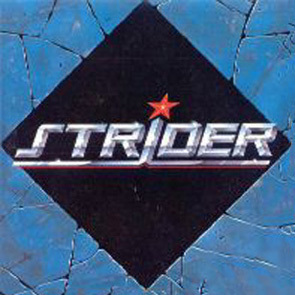 Also a 1970s UK rock band of the same name, who released at least one album, "Misunderstood", which seems never to have made it to CD.Strider was a great little band," says drummer Tony Brock from his home in LA. "We were a regular at the Marquee in London, selling out just about every time we played there." In the annals of Rock history this little known band from London's thickly crowded club scene were an all to brief footnote. A charming lot, they played an excellent brand of hard-rock blues in league with Status Quo, Deep Purple, Humble Pie and Free. Their legacy post-Strider far out lived their feeble existence as a band and it is only through shear determination we have resurrected them for this piece.